How to watch LEGO DC Super Hero Girls: Super-Villain High (2018) on Netflix Austria! Sorry, LEGO DC Super Hero Girls: Super-Villain High is not available on Austrian Netflix. We check Netflix hundreds of times a day, so you can check back regularly to see when it appears for streaming. 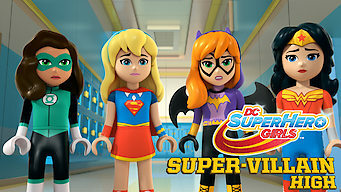 We'll keep checking Netflix Austria for LEGO DC Super Hero Girls: Super-Villain High, and this page will be updated with any changes. When a new school nearby recruits their friends for evil missions, the teen superheroines must team up to foil the plot and defeat a top villain. There's a new school in town -- and a new principal with evil plans. Things are about to get über heated at Uber High.